Image courtesy of Woodstock Public Library. 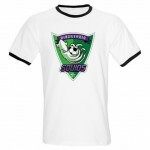 The Miskatonic Squids is the soccer team for Miskatonic University. 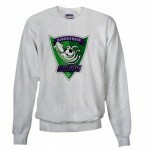 Established in 1918, the Squids have competed in the Upper College Division and the Big Ten. The squids is made up of current active students and led by Coach Jack Armstrong. Join the Squids as they take on national teams this upcoming season. Few members of Miskatonic University were skilled to make it into the team. These heroes not only have won against rival schools but each has embarked on expeditions and survived. Whether battling the Princeton Chiefs or scaling a mountain in search of Ithaqua, the Miskatonic Squids are made to fight! 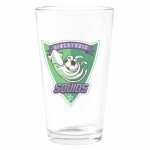 In commemoration, we celebrated the original opening season with a collectable 16-oz Pilsner glass with the Miskatonic Squids logo. If you are traveling throughout Providence Rhode Island, there are a couple of places that may have one of these on display. If you managed to have joined when we were selling these, consider yourself among the few.This handsome collection of glasses are modeled based on the local Arkham brew – Cthulbrew. Each glass comes with a gold-rim across the top of the glass. If you are interested in being notified when we have more in stock, please let us know by contacting us.